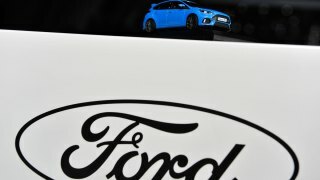 Ford says it will move its entire small car operation from America to Mexico, NBC News reported. "Over the next two to three years, we will have migrated all of our small car production to Mexico," CEO Mark Fields said at an investor conference in Detroit on Wednedsay, assuring investors that his company maintains a healthy profit margin in its pickup truck and van business. Many automakers are shifting manufacturing to lower-cost zones as they deal with lower profit margins for small cars. But the move from Ford is likely to set off a firestorm during the U.S. presidential race, where blue-collar jobs and relations with Mexico are contentious topics.